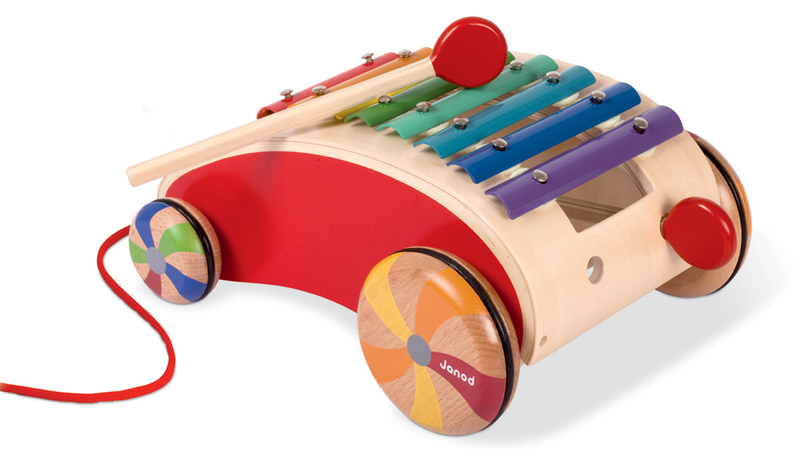 This eight note metal xylophone has a pleasant melodious sound that doubles as a quality walker. 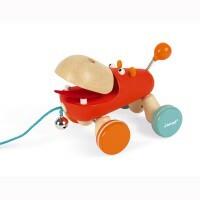 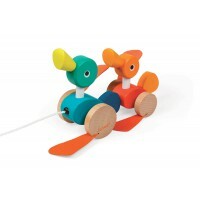 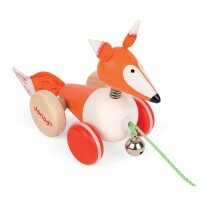 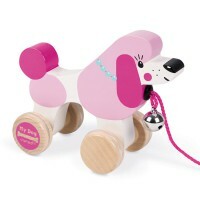 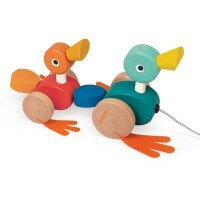 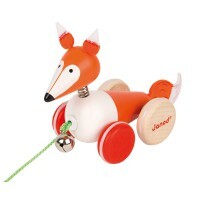 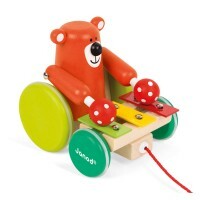 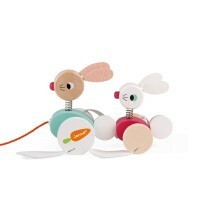 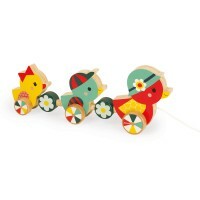 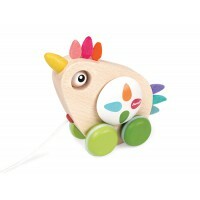 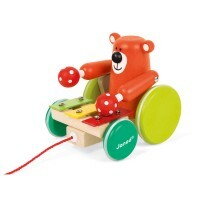 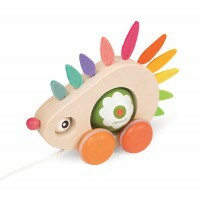 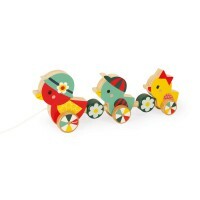 The wooden pull along is designed with four brightly coloured wheels complete with rubber grippers to ensure a great ride on most surfaces. 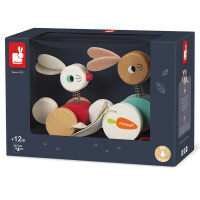 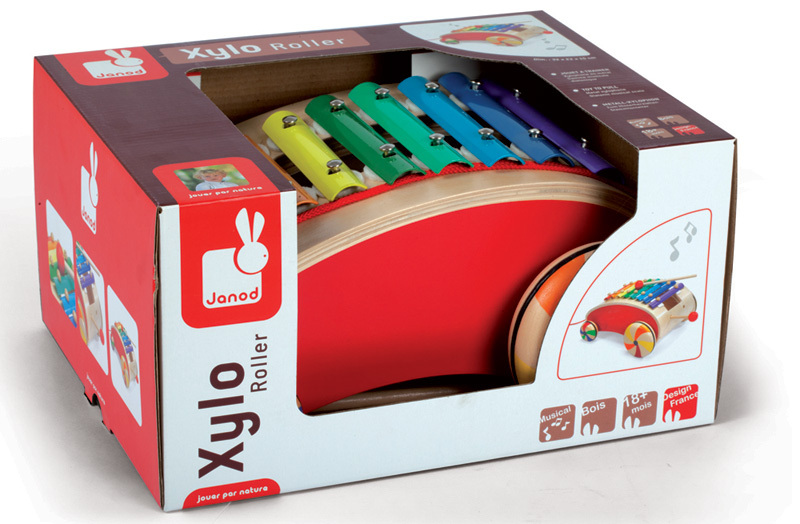 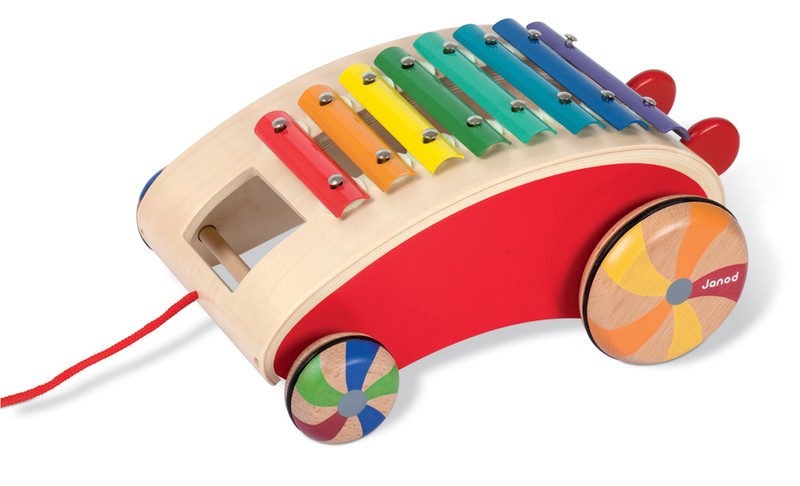 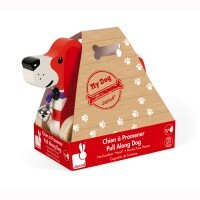 The xylophone comes complete with two wooden mallets that have their own special storage place when not in use and is packaged in a window presentation box perfect for gift giving.